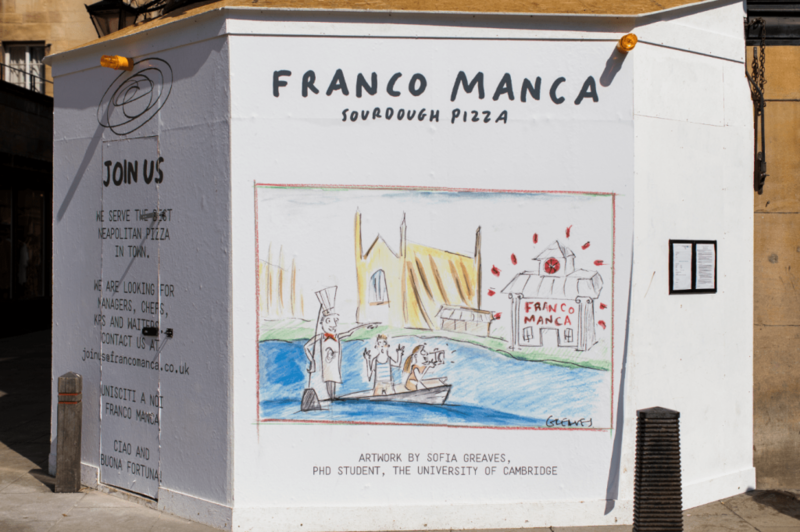 With great pleasure we announce the opening of our Cambridge pizzeria, bringing our handmade sourdough to one of the UK’s most beautiful and historic cities. For our opening week all (ALL!) 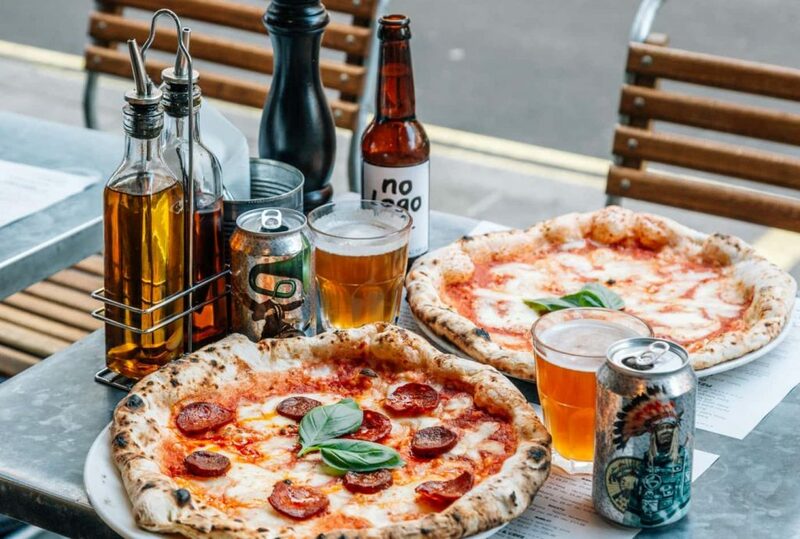 our pizzas will be just £5 (Wednesday 11th July 2018 – Tuesday 17th July 2018). Yes we are trying to get you hooked. No, we’re not sorry. You might have noticed our original hoarding art, keeping us beautiful while we build your new pizzeria. 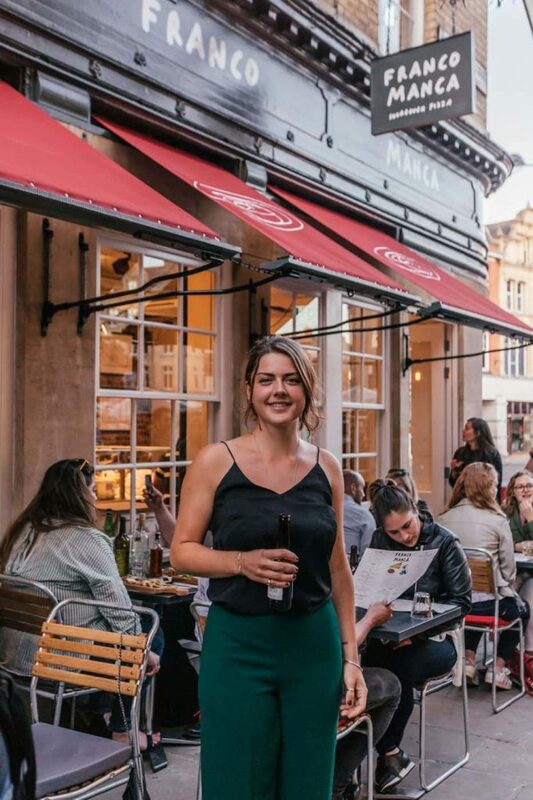 It’s by Sofia Greaves (photo below), a PhD student studying Classics at The University of Cambridge, looking at how modern art has influenced Italian archaeology and city planning. 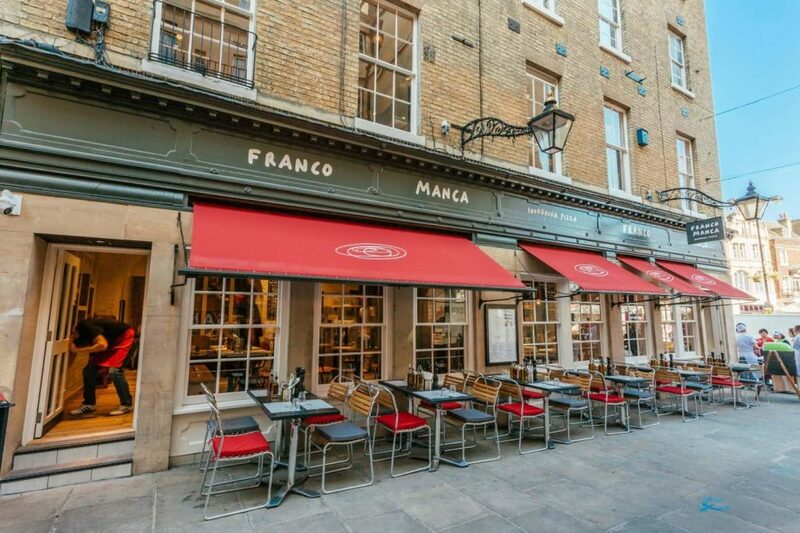 She’s half Italian and, before moving to Cambridge, lived near the first Franco Manca in Brixton. 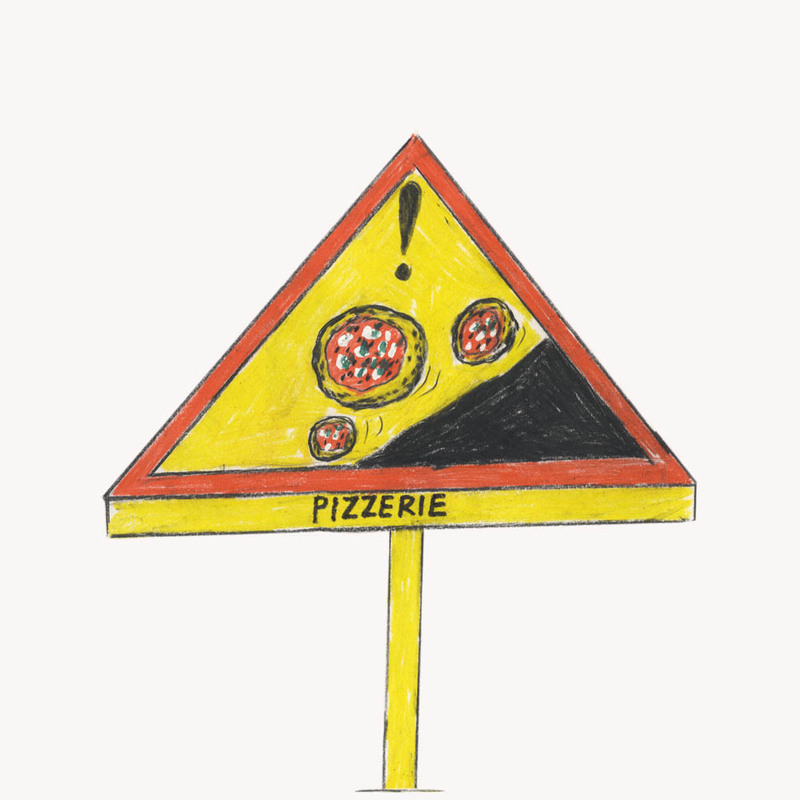 We love her illustrations, which will now feature on the walls of our pizzeria. 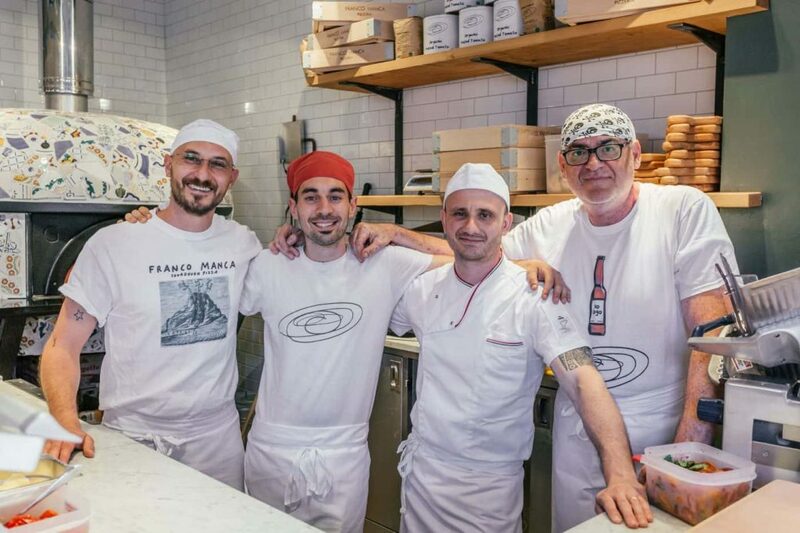 Valentino Orestano is taking the helm as head pizzaiolo at Cambridge. 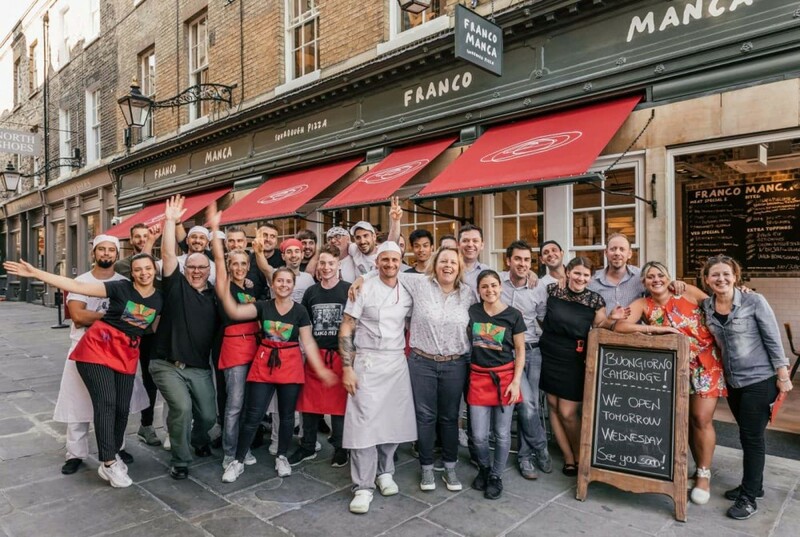 Having worked in the industry his whole life after being inspired by his family, he’s now been working for Franco Manca for 7 years and has opened many of our pizzerias outside of London. He runs a tight but convivial ship. Come and say hi! Come on in, pull up a chair. Our first Cambridge pizzeria guest beers are Ripchord and Lakota, by Brewboard. Just one year old, this young craft brewery invents characters for each of its beers. 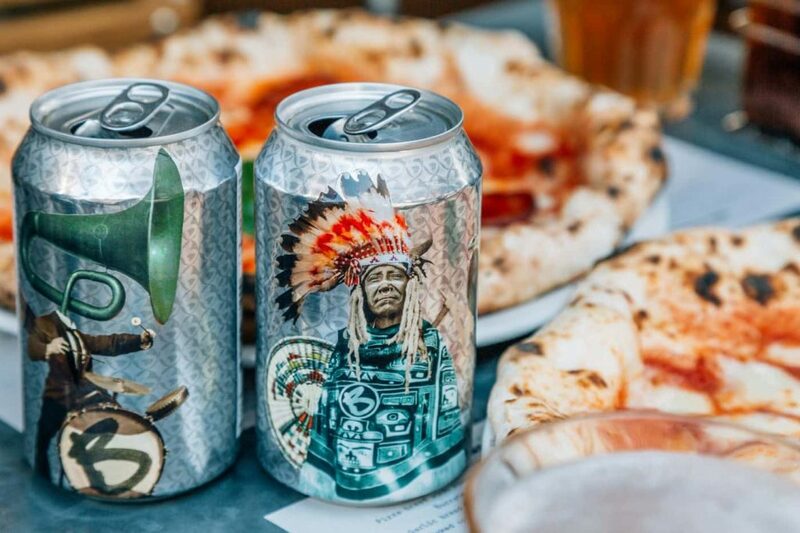 These are just two of their family of oddballs – Ripchord is a 4.3% Session Pale Ale with a citrusy, spicy, grapefruity flavour inspired by the live music nights they have at their tap room, and Lakota is a 5.1% light-straw, dry-hopped American Pale Ale inspired by Native American flavours. Cambridge. It’s on. Pizza £5. There’s art. And beer. And Valentino.